The first stage is only 21 km but is the acclamation to the race, so even if is not particularly hard, it is very challenging for most runners. 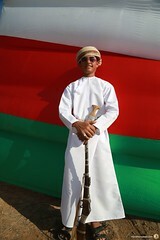 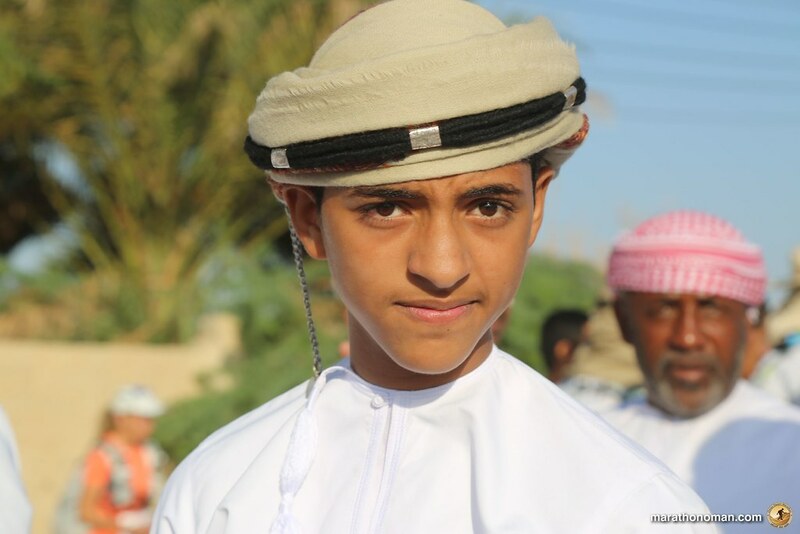 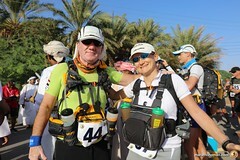 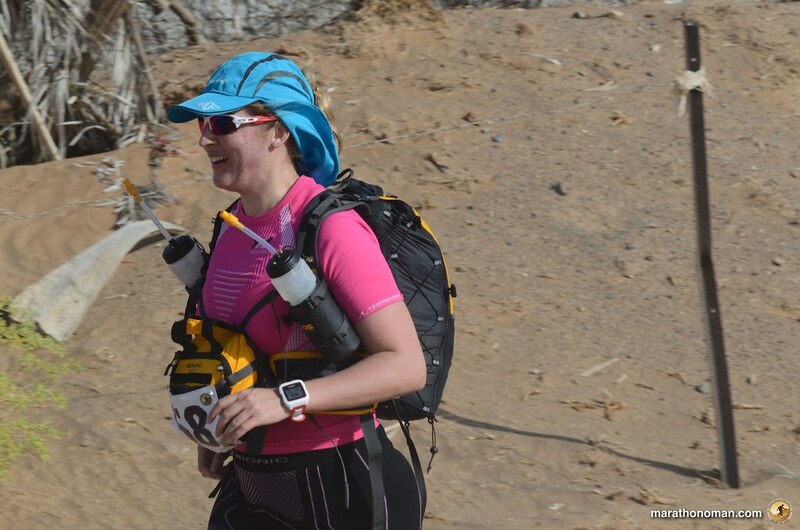 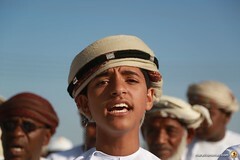 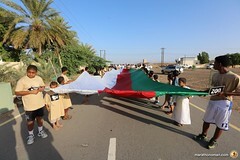 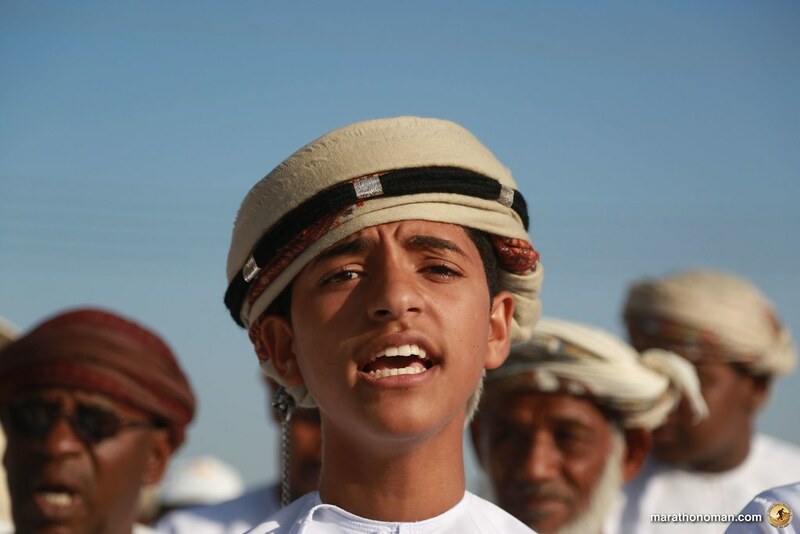 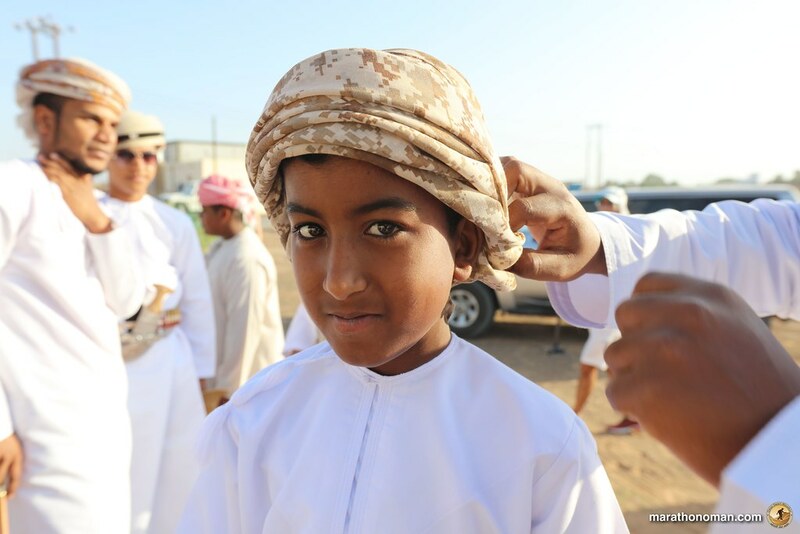 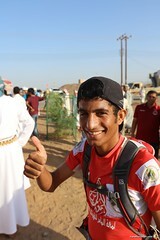 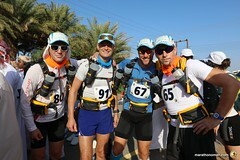 On day one the backpack is at its maximum weight, many runners just arrived in Oman and they are not used to this climate. 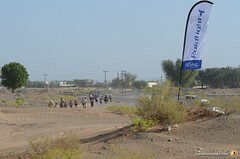 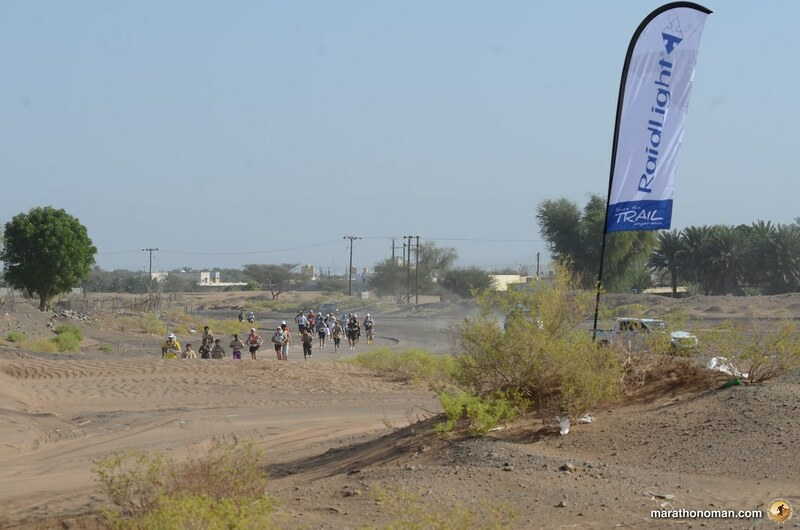 The majority of the competitors decided to start running fast and take advantage of the first and last kilometers on road, the only ones on paved ground of all the race. 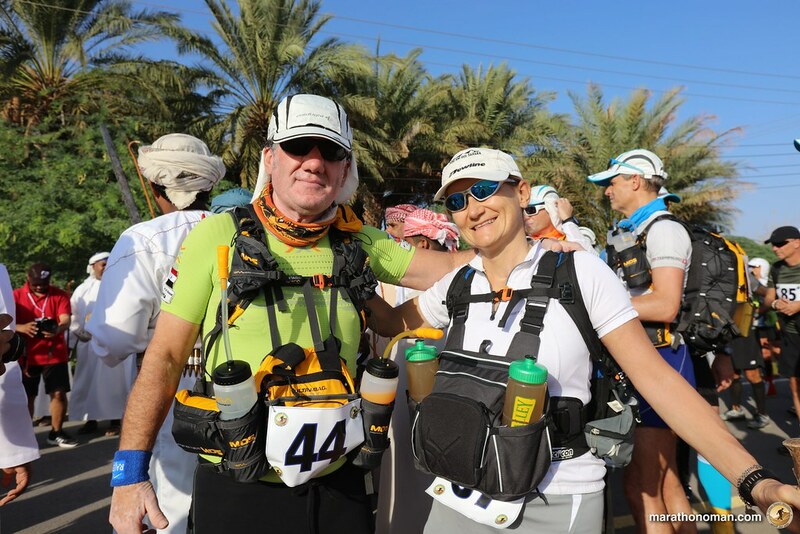 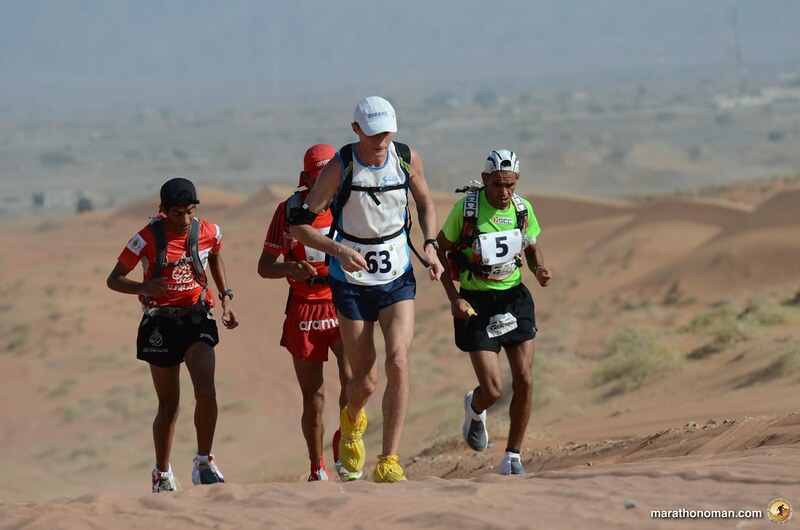 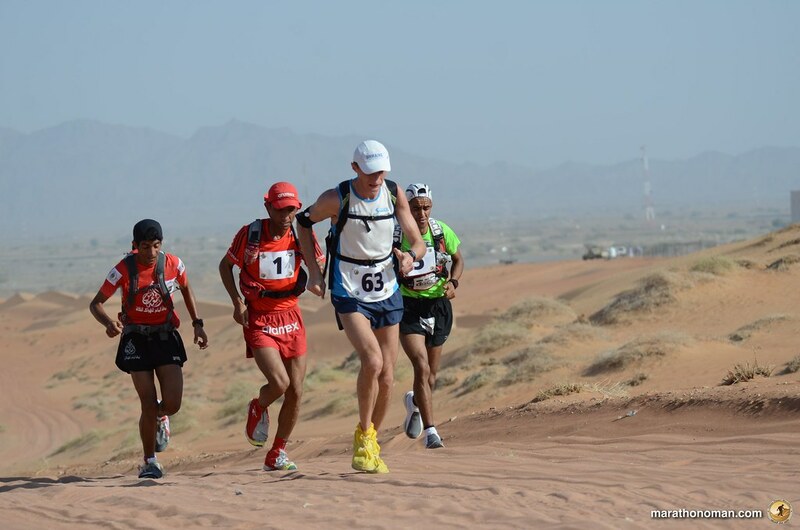 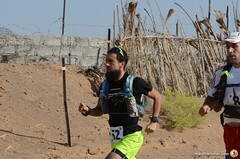 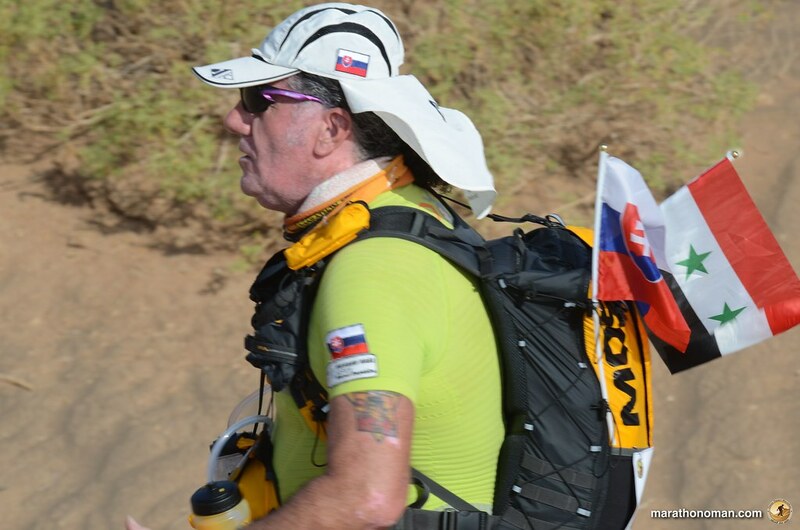 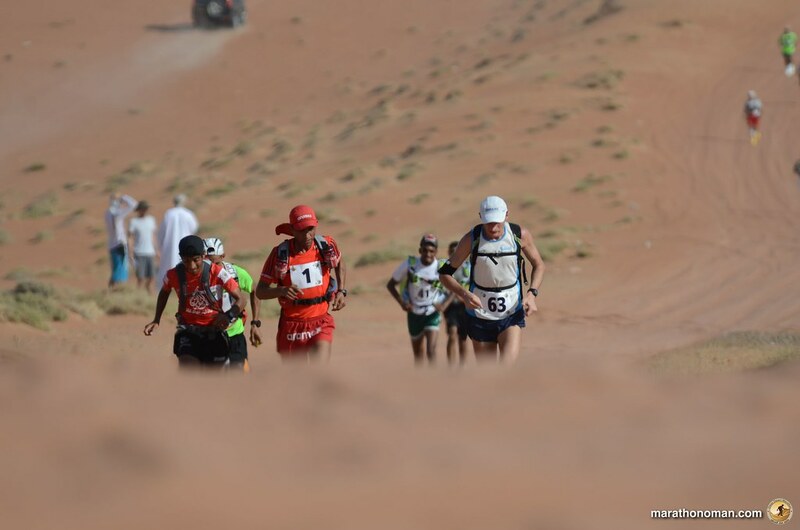 The first 10 kilometers of this stage are on flat and compact sand, but then the runners had to enter deep into desert and face high dunes and a big climb, this section of 8 kilometers it had very challenging ground. 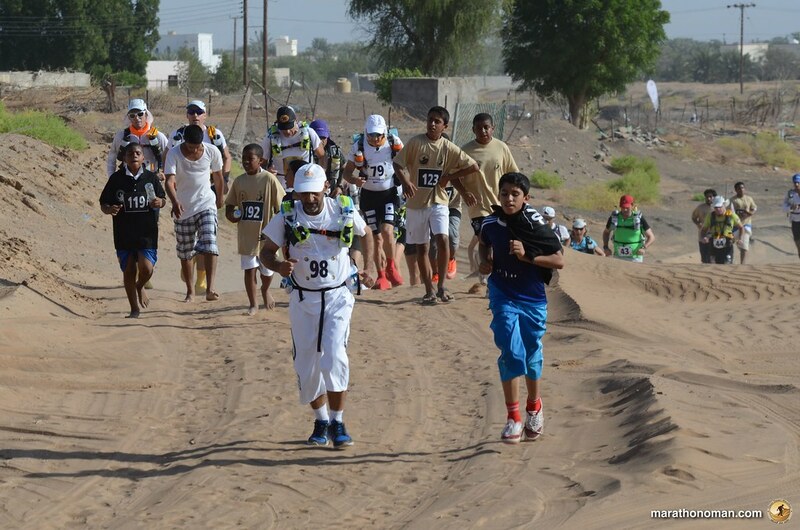 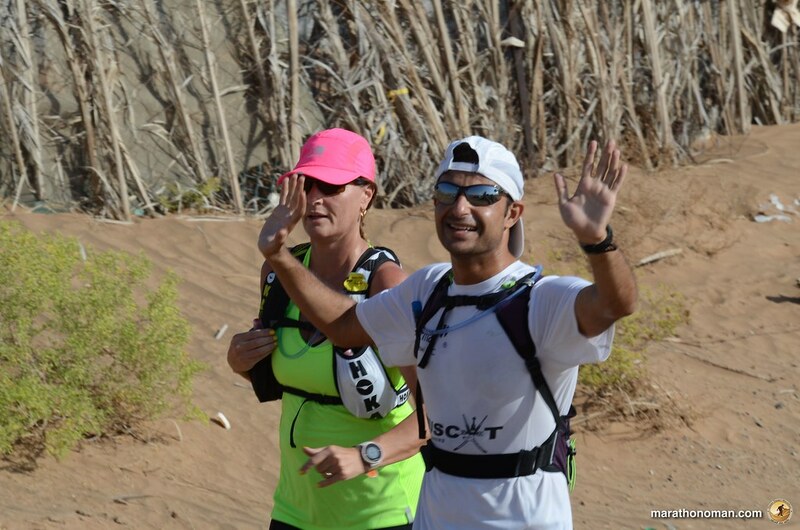 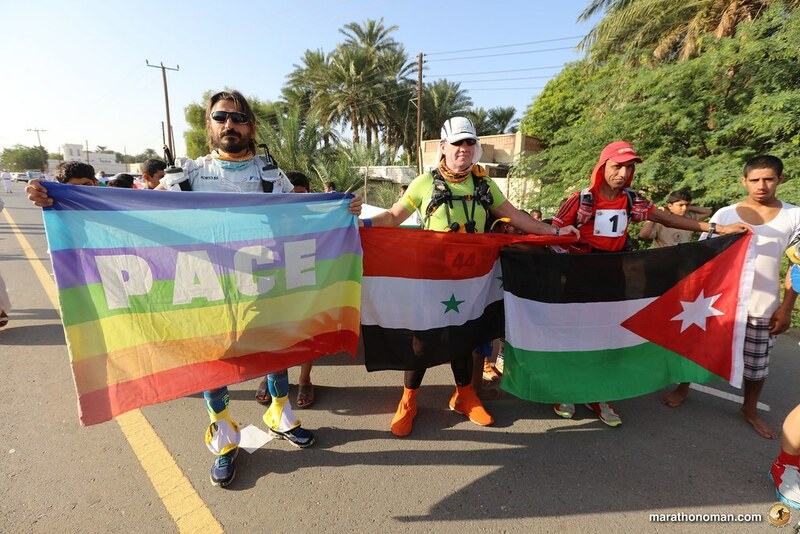 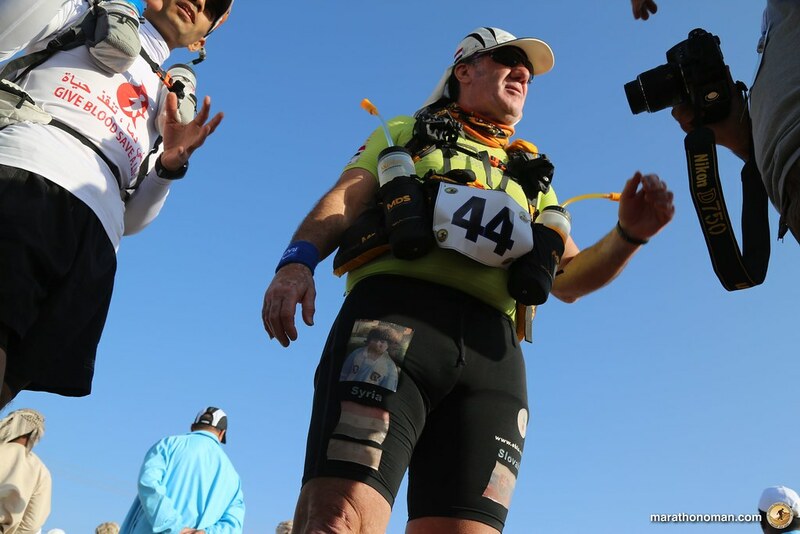 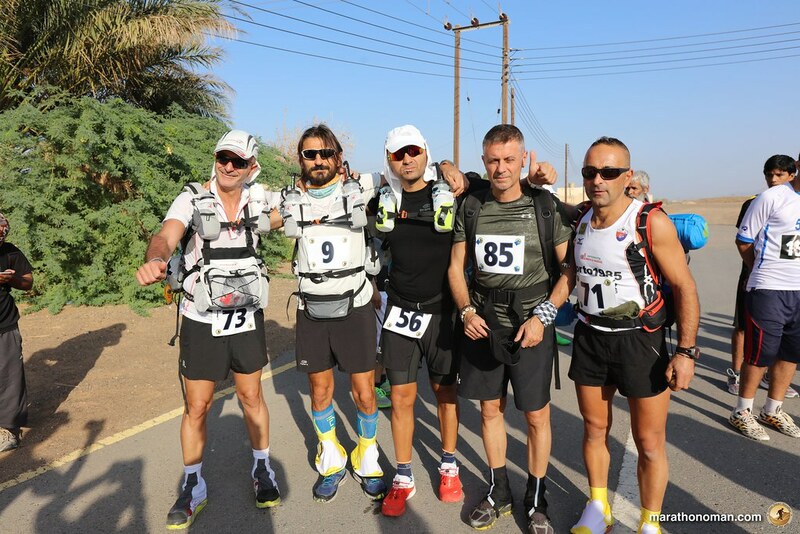 After this part they descended the dunes and reach the Al Wasil castle where they found a local crowd welcoming them at the finish line. 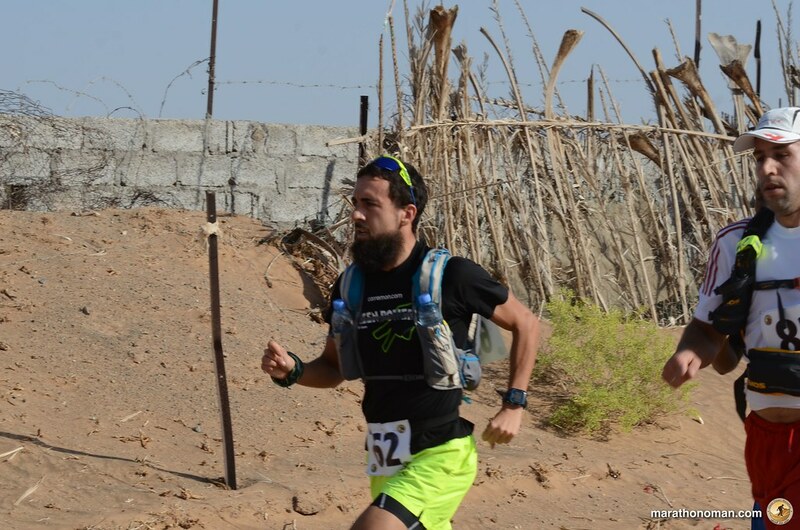 The first ten kilometers saw the Jordan Salamah Aaqra and the Ukrainian Evgini Glyva fighting for the first position, followed by Rashid Al Murabiti a few steps behind. 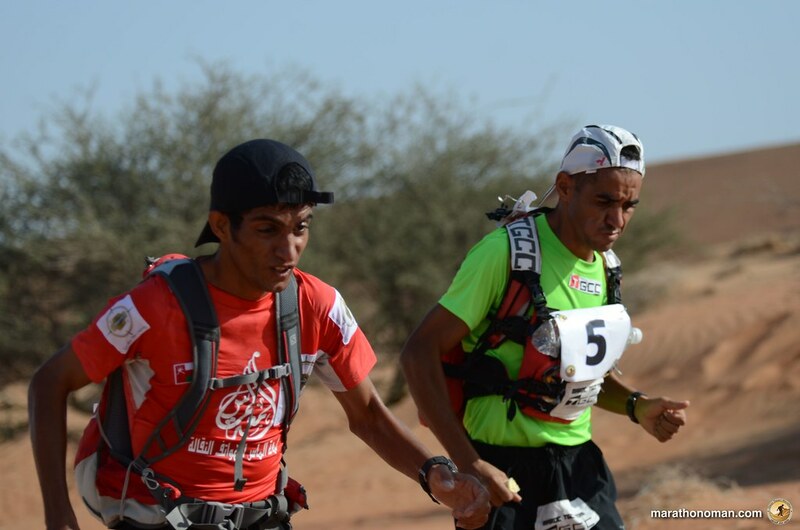 The Moroccan champion waited the big dunes to sprint and pass the other two champions and dominated all the second section on the race, reaching the finish line in just 1h33 minutes and 13 seconds, 6 minutes before Salamah Aaqra and 8 minutes before Evgini Glyva. 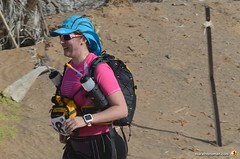 Most runners finished this stage in the double or more of the time of the winner and the last runners, Eugenia Stucchi, crossed the finish line after 5 hours, 5 minutes and 58 seconds.